A couple of months ago, my local quilt shop was having a season clearance and they had an entire bolt of “cheater cloth” up for grabs. Not only was it on clearance, I talked the owner into another 10% off the sale price if I bought the entire bolt because I’m pretty sure I’m making her car payment. Cheater cloth’s sole purpose in life is to help new longarm quilters such as myself, gain the necessary motor skills for following a pantograph. It is pre-printed with a quilting design that washes away in the laundry. I bought my longarm last November and up to this point, I’ve been making quilts using the Quilt Butler that is an auto-stitching computer. All I have to do on the Butler is set the stitching boundary box, choose a pattern, make sure the needle is threaded right, and press start. Well…there’s a little more to it…but not much. My main reason for the cheater cloth was to become more familiar with the mechanics of the quilting process itself. Since I began longarming, I have suffered numerous newbie mistakes (still am), and the machine still intimidates me. After I got it, I remember staring at my Baby Lock Ellegante 2 sewing & embroidery machine (which I whiz around on) and thinking, “I can’t wait until I feel as comfortable on the longarm as I do on this.” In my corner of the world as a quilter/seamstress, I love the zen feel with my machines that I “know” them. We know each other. I know how they behave, what type of thread they like, how they perform on different fabrics, and most importantly, what to do when something goes wonky. Maybe that all sounds silly, but I believe it’s the same as how a mechanic feels about his/her car. You know how it’s supposed to sound, it shouldn’t “chug” as my dad used to say, and know just what makes it purr. Same goes with my machines. Well, the only way to get comfortable with the longarm was to use the dang thing. 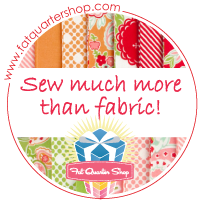 I watched video after video on how to load a quilt, videos on longarm tips and tricks, and pretty much anything else I could do to procrastinate learn as much as possible. Finally, the purchase of the cheater cloth pushed me over the edge to actually load it and get going on it. I think I figured the cheater cloth allowed me to make mistakes which I knew I would do without spending an arm and a leg on fabric or ruining a preciously pieced quilt top. For the backing, the Fat Quarter Shop had one of their daily sales months ago where they were selling 5 yards of dark star fabric from a Moda Christmas line for like $5 or something stupid cheap like that. I have no idea what that weird purple filter is on the left of this pic. So how did it go with the cheater cloth? Good thing I don’t drive like I quilt or I’d be arrested on the spot for a suspected DWI. At the bottom of this pic, you can see the tension improved. I had another newbie mistake moment where I forgot to lower the presser foot. Look what the back looks like when THAT happens! Yikes! My sewing machine doesn’t do that on the back. In fact, it never allows me to do that because it beeps at me when I forget to lower the foot. Love technology. Wups. After two rows of using the cheater cloth lines, I opted to go to the back of the machine for some pantograph action. Not much better but I did improve as I went. My goal is to get the rounds to be actually round without flat sides. This will take me some time. I’m still working on the body mechanics of “do I use one hand or two?”, how best to stand or do I sit on a chair? The smoothness of the designs will come with practice…or so I have been told by every professional quilter from here to the internet. My goal is to be as good as Alice as my local quilt shop. She knocks out 2-3 quilts a day at work. She’s awesome. I put in about a total of 4 hours of practice on this particular piece. I’m not sure I got better as time went on (which is why I have the Butler) but I really do enjoy the task of the pantograph. I can already tell that at 5’9”, I need hubs to raise the frame 4-6” to prevent my now aching back. Ugly though it may be, it passed quality inspection by my Australian Cattle Dog, Blue. And my husband said, “Aren’t you going to put the ends [binding] around it?” I literally laughed at him. I’m going to look for more clearance backing fabric this week to get back at it. When practicing, try using cheap cheap muslin! It is cheaper than even the sale fabrics. Looks like the fabric was not taunt enough on the back – not sure why it was “puckering”. Yup, it takes lots of practice. I do free motion, but decided early on that panto’s and feathers were not going to be for me. There is one way to get the hang of it. Take some paper and pen and doodle! Then it will help set your mind to hand when you work on the long arm. Does your machine have a stitch regulator? Mine is not computerized just the regulator. I send my show quilts out to be quilted, but others I do. You will catch on sooner than you think, and yes, I too have my machine raised. Hubby added more LED lights which help greatly. Have fun! All good suggestions and I’m certainly going to get some muslin. Not sure on the puckering either but suspect it was how I loaded the quilt. I think I might get some of those clams. I’ll try anything not to have to pin. I was using the stitch regulator (not the computer). I LOVE the bright light that comes on my machine and the overheads. What’s the best for raising the frame? I want something pretty vs. like a cinder block. I thought of a box but then I lose potential storage space. Thoughts? Interesting, especially to someone who only quilts by hand! I know you spent a small fortune on this machine, so I hope you get that “zen” feeling with it soon. Love your husband’s comment on binding the dog’s quilt! My problem is that I’m too impatient. I just need to slow down and practice, practice. The zen is almost there with the Butler and maybe I just need to be happy with that. There’s also ruler quilting that I haven’t tried yet. I have the ruler table base and a bunch of rulers so I may have a go at that next. Love the cow print dress! You need a Texas Cowgirl hat and boots and get here next Feb for the San Antonio Stock Show and Rodeo!